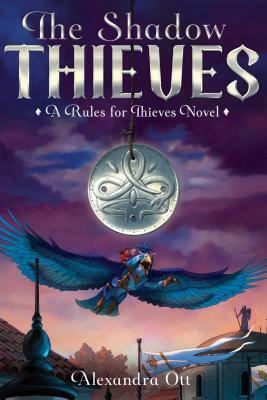 Alli must risk everything to save her new family from a rogue organization that is threatening the Thieves Guild’s existence—and the lives of all its members—in this high-stakes sequel to Rules for Thieves. Alli Rosco, former orphan and thief, is free after her disastrous Thieves Guild trial, which left an innocent woman dead while Alli’s partner-in-crime, Beck, fled. Now Alli is getting more than just a fresh start: her long-lost brother, Ronan, has come forward to claim responsibility for her and let her live with him on a trial basis. They try to mend the rift that started when Alli was dropped off at the orphanage while Ronan became a lawyer in Ruhia. But as determined as she is to make things work, Alli can’t seem to stay out of trouble. To make matters worse, Alli finds a surprise guest on her doorstep one night: Beck. He’s on the run and brings news of the Shadow Guild, a rogue organization that is trying to overthrow the current king of the Thieves Guild. Their friends are in real danger. And Beck needs Alli’s help one more time to bring the Shadows down. Once again, Alli is forced to make a hard choice: save her friends, or lose her last chance to have a true family.